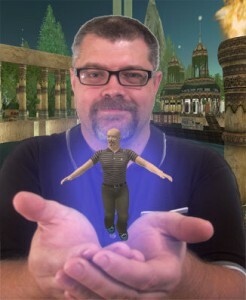 Guest speaker Douglas Danforth (SL: DrDoug Pennell) will discuss the Ohio State University Second Life presence, and then following Q&A, will take us on a tour of the OSU island – including a giant model of the human testes that you can fly through! Join us for an engaging discussion about how OSU is using Second Life and how virtual worlds can be used to experience 3D models in a new way. The meetings are very newbie friendly, so don’t be worried if you aren’t too experienced with Second Life yet! We usually use a combination of voice chat using Second Life’s built in Voice-Over-IP tool and regular text chat. You do not need a headset/microphone to be able to hear the voice chat, but if you wish to speak in voice at the meetings, you will need a headset/microphone to participate. These headsets can be purchased at any store that sells electronics equipment (Walmart, Best Buy, etc.) and usually cost between $30-60 USD. Please note: Due to issues with echo and reverberation, using a microphone built into your computer or laptop is NOT recommended! When someone else is speaking, the sound travels out of the computer speakers and back into the built-in microphone causing very loud distortion. A headset/microphone resolves this issue and is the recommended way to use voice in Second Life. And don’t forget to save the dates for the remaining OLN Second Life Events! Guest speaker Daniel Livingstone (SL: Buddy Sprocket) will demonstrate the open source SLOODLE project, to be implemented on the Ohio Learning Network island in Spring 2009. 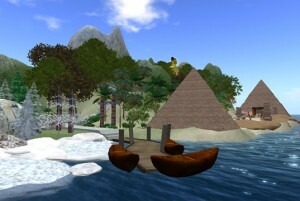 SLOODLE is an Open Source project which integrates the multi-user virtual environment of Second Life® with the Moodle ® learning-management system. Sloodle provides a range of tools for supporting learning and teaching to the immersive virtual world; tools which are fully integrated with a tried and tested web-based learning management system used by hundreds of thousands of educators and students. Guest speaker Brenda Boyd (SL: Stargazer Blazer) will discuss Miami University’s Second Life project, and her experiences as Dean of Insight Virtual College, an institution that teaches Second Life skills. Following Q&A, we will take a tour of the Miami University and Insight Virtual College campuses and learn practical tips about teaching in Second Life! Guest speakers Anthony Fontana (SL: AnthonyFontana Chevalier) and Bonnie Mitchell (SL: BonnieMitchell Miles) will discuss their experiences facilitating a Second Life Learning Community at BGSU. 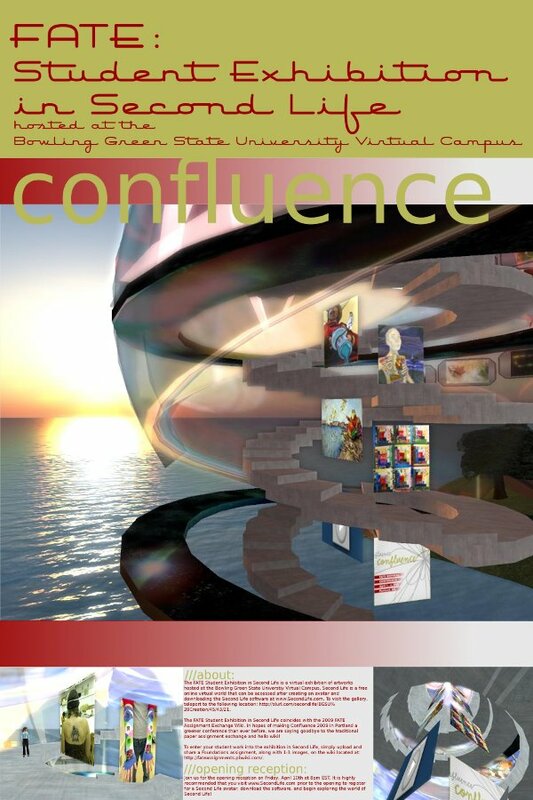 Following Q&A, we will take a tour of the BGSU campus in Second Life and learn more about facilitating learning communities in both the virtual and the real world.